Thought Hacking Team was the only one capable of surprising people? Ask the residents of Georgia and you might be in for a little surprise too. Residents of Gwinnett, Georgia received an alarming surprise this week as commuters on Langford Parkway saw a traffic signal alerting them of an “Ebola Outbreak.” That wasn’t enough, apparently. 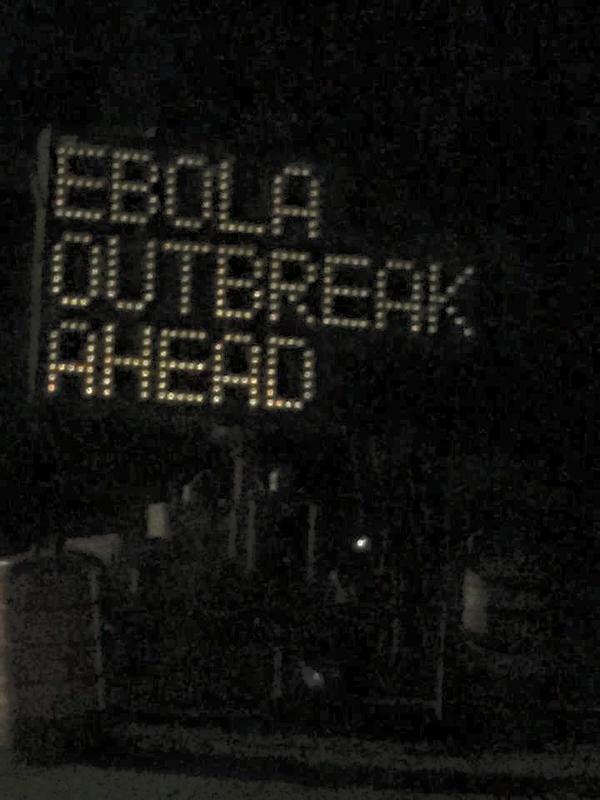 After the first warning that said “EBOLA OUTBREAK AHEAD”, a second sign was with a more racist message. While the first one unnerved the drivers on the road, second seemed to give a strong message that something was definitely going wrong with the signs. Officials of Gwinnett Department of Transportation are said to be reevaluating security of the road sign system after someone accessed these two road signs near Norcross to post inflammatory messages. Gwinnett County Police Department is investigating the incident and says that the computers and keyboards used to input the messages weren’t secure. Surprisingly, Transportation Department was using the original factory password that came with the signs when they were rented by the contractor. It would be a fairly difficult task to find the person responsible as multiple people are likely to have the password, Bo Phillips, representative of the rental agency told the officers. County manager Glenn Stephens said he and acting transportation director Alan Chapman have spoken about adding security measures to their pre-construction check lists for contractors to ensure they take steps to prevent such occurrences.